How and when you book your guided fly fishing trip will have a big impact on the success you’ll find on the water. Your overall experience and enjoyment of your trip will be much higher if you follow these tips on booking your guided fly fishing trip. While not even your guide can control poor weather, high or off color water or fish that are taking a break from eating, if you put a little pre-trip effort in before hitting the water, you will find that it pays off in the end. Not all guides and outfitters provide the same level of service and it’s your job to find the best in the area you plan on fishing. Do your homework and you’ll be rewarded with a great day of fly fishing with a guide who will provide the best possible outdoor experience. Start researching the fishery and guide services available at your fly fishing destination months in advance. Even a year in advance is not too early to start your initial homework. This will help you decide on the best time of year to book your trip and when the fishing is typically the best. For instance, here in Colorado, the best fly fishing is usually in the month of July but this is also our busiest season. Talk to your guide service and ask questions and provide them with information about yourself. What do you expect from your trip? What is your level of angling experience? If your outfitter or guide service is unwilling to spend a little time helping you plan your trip, look elsewhere. Send emails, make phone calls or stop by the fly shop to get a feel for the business and service. The internet is a great tool and quality guide services have quality web sites with up-to-date information such as blogs, gear reviews, online retail sales and booking, updated fishing reports and quality videos and photography. If a website or social media page is poorly maintained with grammar and spelling errors, is hard to navigate or lacks appropriate content chances are good that attention to detail may be lacking. Is your guide service properly permitted and insured? Are the employees friendly and informative? Do they take time to help you? Are the guides locals? Will they provide references or testimonials from other clients? Is the fly shop clean and organized? Does the guide service have an associated fly shop? You’ll find that fly shop/guide service combos generally provide excellent gear, flies and anything else you may need on your trip. You may not even need to bring your own equipment. Is it a seasonal or year-round business? These are just a few questions you should be asking. As soon as you’ve decided when and where you’ll be fishing, book your dates. Individual guides often specialize in certain types of clients such beginners or children or types of fly fishing and species of fish. The best and most experienced guides will book up months in advance with return clients or referrals. If you wish to fish with a specific guide you will need to request that guide prior to your trip. Booking early also will give the flexibility to change your days if needed. During the prime fishing seasons, if you wait until the last minute such as the night before or the day of, the best guide services will be able to get you on the water but count on the most experienced guides to already be booked. As your trip approaches, stay in contact with your guide service. Find out when and where you will be meeting and what you will need to bring. The best guide services will provide some type of reservation confirmation via email with details about your fly fishing trip. Experienced guides will also call their clients beforehand to discuss the trip. Feel free to contact your guide if you have not already spoken with them and be weary of guides who are not willing to take few minutes to talk with you. The morning of your trip is not the time to reveal that you recently had knee surgery and can barely walk, especially if your guide was planning on hiking into a remote location. Whether you need to be picked up at your hotel, hate ham sandwiches or have to be off the water by a specific time, just make sure to inform the outfitter when you book your trip. If you are a complete novice and are there to learn how to fly fish and have no experience, let your guide know. 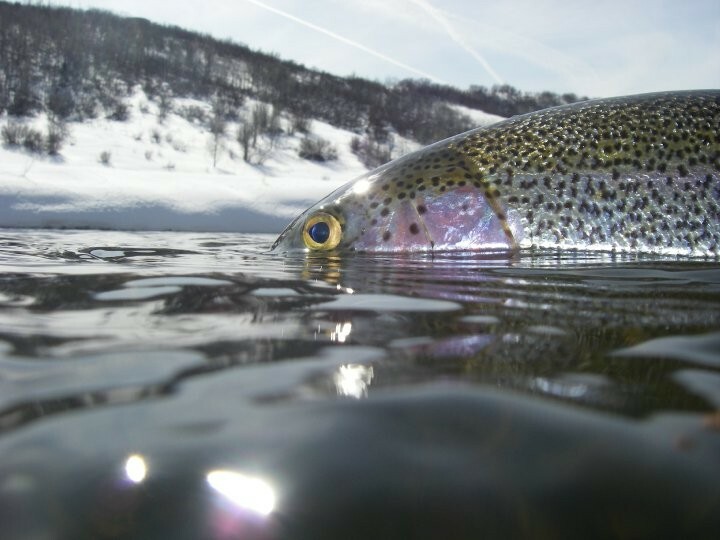 If you prefer dry fly fishing, want some mountain scenery or would really like to try to catch a certain species of trout, this is information that can be used to enhance the quality of your trip. 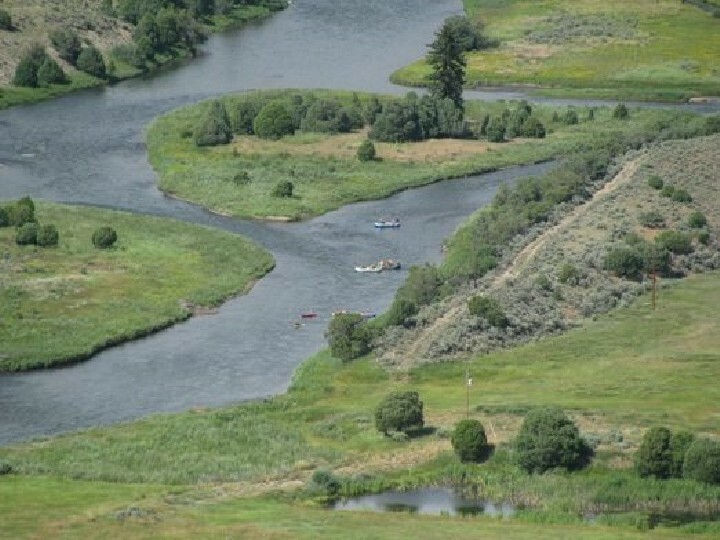 Once your guided fly fishing trip is booked there are some other details to consider. It is always wise to keep a day open in case your trip needs to be rescheduled because of dangerous weather or conditions, a personal emergency or travel delays. Most outfitters will refund your deposit if the trip is cancelled well in advance or because of seriously bad weather or risky high water but if you miss your plane or have a hangover and try to cancel the day of your trip, the outfitter has lost business, the guide has lost work and you will be charged. Finally, you are fly fishing with a seasoned, professional guide. To make your trip even more enjoyable there are still some things you’ll need to do. Guides cannot read your mind so communication is vital to a good day of fishing. Ask your guide questions and communicate expectations. Listen to your guide. They are there to help, instruct and make you a better angler. The best guides will work hard to put you on fish and teach you new skills and you will be very aware of it. The opportunity to receive expert advice is what you paid for. Keep your expectations realistic. Think “Guide not God”. No guide can guarantee fifty fish days and calm sunny weather but watch out for guides who aren’t willing to teach and work hard. Finally, have fun. You are out in a beautiful setting and enjoying a day of fly fishing. Don’t let numbers or size of fish get in the way of a good time. It is important that you follow up with your guide service regarding you experience on your fly fishing trip. Let them know how your fly fishing trip went. If you had a great experience and want to fish with your guide again the next day, that information lets them know they are doing things right. If, unfortunately, you had a bad experience, the only way to solve the problem is to discuss it with the guide service. At Vail Valley Anglers we have a 100% satisfaction guarantee that we stand behind. Our fly fishing guides are employees of the operation, not subcontractors like other operations.That means they are held to the highest possible standards. 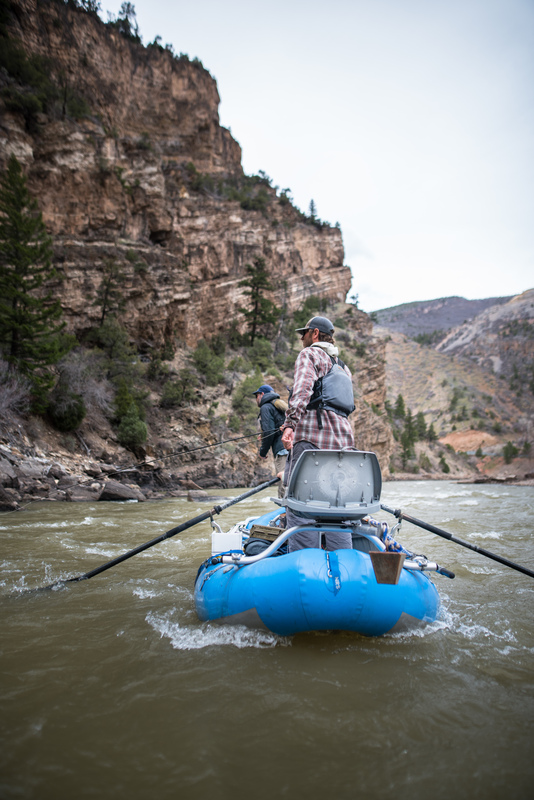 We require certain standards from our guides and track their return clientele, requests, and overall performance on the river. Our seasoned, professional staff has decades of experience over the competition. We promise a 100 percent satisfaction guarantee. If at any time you determine that your experience was less than exceptional, we will return the cost of the trip in full, no questions asked. Our experience shows we mean business when it comes to fly fishing. Whether it’s advice in the shop or first-hand instruction from our seasoned guides on the water, we strive for excellence in all of our fishing endeavors. 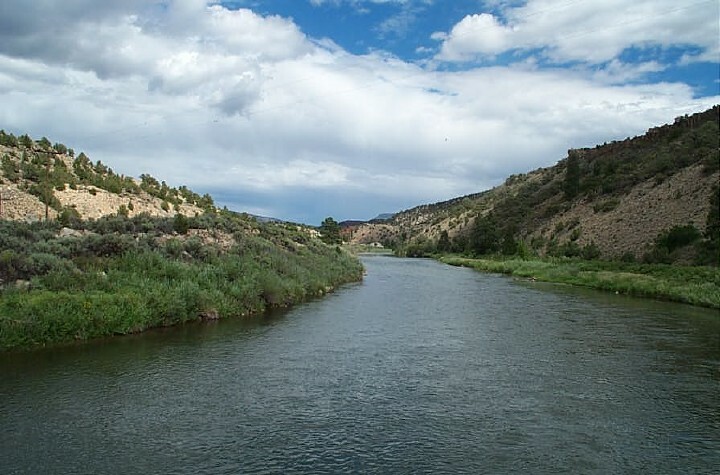 We are located in central Colorado in the heart of Colorado Trout Country. We live it every day.